Loaded with flavor, this easy slow cooker Mexican chicken chili recipe tastes just like your favorite burrito. The deep freeze of winter has set in. It’s a whopping 20 degrees at the bus stop most mornings and that’s not counting wind chill. I’m not about to stand outside in that cold even for 5 minutes, especially with two younger children that don’t technically need to be out there, except for the fact that they can’t be trusted in the house by themselves even for a short time. If you have toddlers and preschoolers… you know what I’m talking about. So we wait in the car for the bus. All bundled up because even the car is cold. Growing up we didn’t have that luxury. I don’t remember it ever being this cold though. Maybe kids don’t feel the cold as much because they’re often running around at the bus stop, bouncing up and down, kicking the snow or just being generally silly. 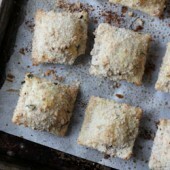 Of course the bus stop chill has nothing to do with this recipe, but the cold absolutely does. Because what’s better in the winter chill than a warm dish of chili or soup? It’s a comforting dish you can easily throw together. Let the slow cooker do the work. The best part is the smells wafting around the house while it cooks… so if you’re home when you make this, fair warning that it’ll be a tad on the torturous side but it’s worth it in the end. I made this specifically to enjoy for lunches. I doubt it’ll last long though as it’s pretty hard to resist. On the first day there’s always a healthy portion enjoyed by even the kids. The Mr proclaimed that this tastes just like a burrito. So if you’re a fan of burritos, you’ll love this chili. This isn’t spicy like a lot of my soup and chili recipes are but if you’re a fan of heat, kick up the notch with the chili powder and you’ll be good to go. 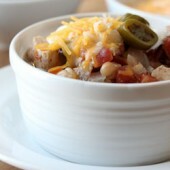 Loaded with flavor, this easy slow cooker chili recipe tastes just like your favorite burrito. Trim and cut chicken into 1-inch pieces. 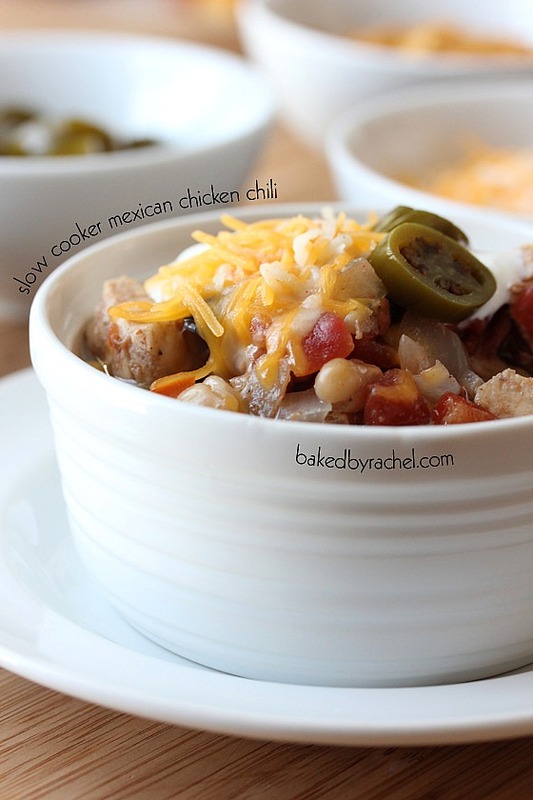 Add raw chicken and remaining chili ingredients to the bowl of your slow cooker. Cook on high for 4 hours, or low for 8. Divide among bowls. Serve with optional toppings. Store remaining chili in the refrigerator for up to several days or freeze for up to several months. *Note: created in a 6-quart slow cooker, but a 5-quart should work as well. I love that you don’t have to cook the chicken first. This looks incredible. It is so cold here too! 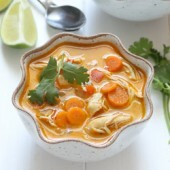 Anxiously awaiting a mid winter warm up but in the meantime I would love to warm up with a bowl of this soup, yum! I was waiting for a killer chili recipe after that cornbread the other day. This looks amazing, love anything with mexican flavors! 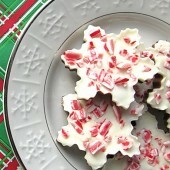 Super easy recipe!! I thought it had potatoes in it when I first saw the photo on Facebook… so now I would probably have to throw a potato in there just cuz. :) Looks great! I am sitting here freezing in my chair right now thinking about this chili. I really want this now :) I have to admit, Im sort of already wishing summer was here. Im over being cold now. But Ill warm myself up for now with a bowl of this! So yummy! I love everything about this chili! It’s cold and gray here so this sounds perfect! Going to try that cornbread too! This would be perfect for me for lunch. I’m always up for a good chili that is super easy. 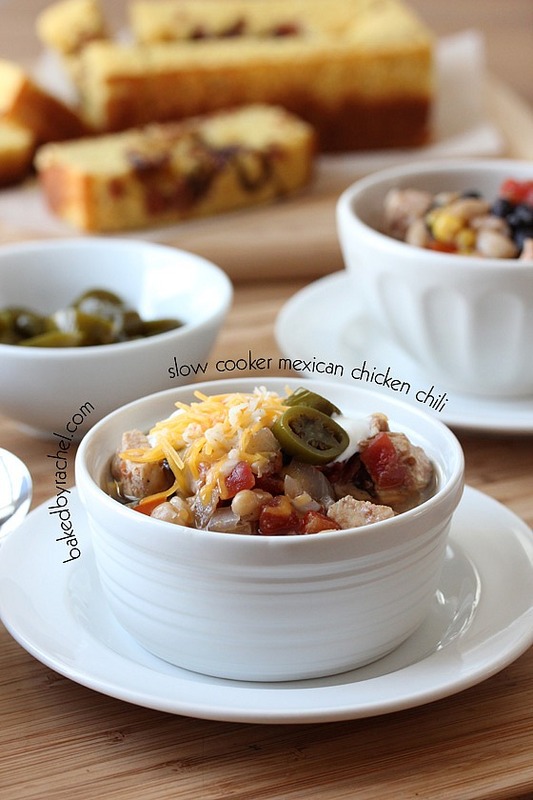 I love me some CHILI and slow-cooker style chili is the best! yours looks super hearty and that cornbread from yesterday would be perfection in here! I’m kind of wishing it was cold enough for chili after seeing this! Whoa! This looks perfect for the cold, and it is cold here in Ca…I just spotted that amazing cornbread too..what a combination! I haven’t made chili this winter. What is wrong with me? Yummy! Just printed this off to try this weekend!